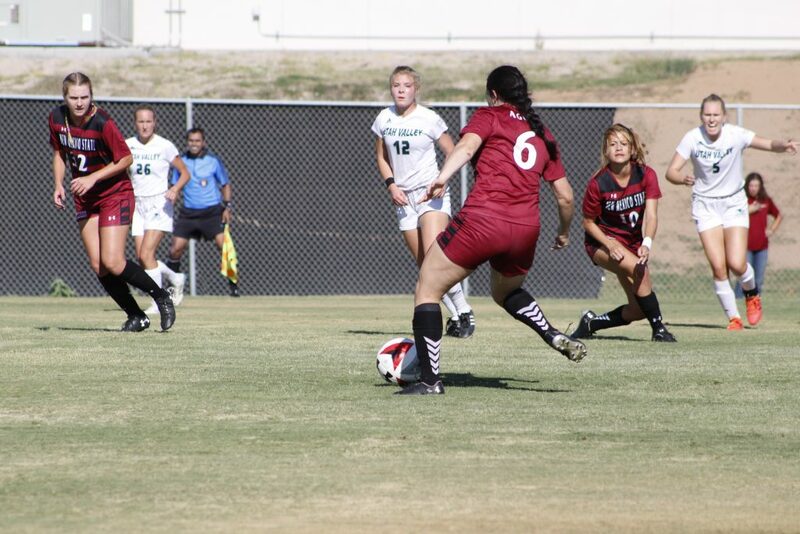 The New Mexico State soccer team lost its opening match in WAC play against the Utah Valley Wolverines, 3-0 on Friday, Sept. 28. The action started very early in the match, with both teams getting a shot off in the first three minutes of the game. 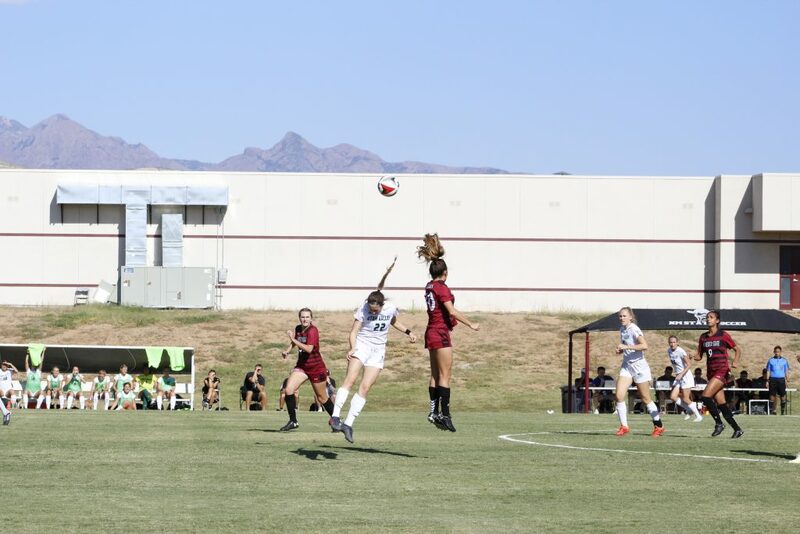 Aggie sophomore Katie Martinez skied one over the crossbar in the first minute and senior keeper Ashley Martin stopped a Utah Valley attempt seconds later. 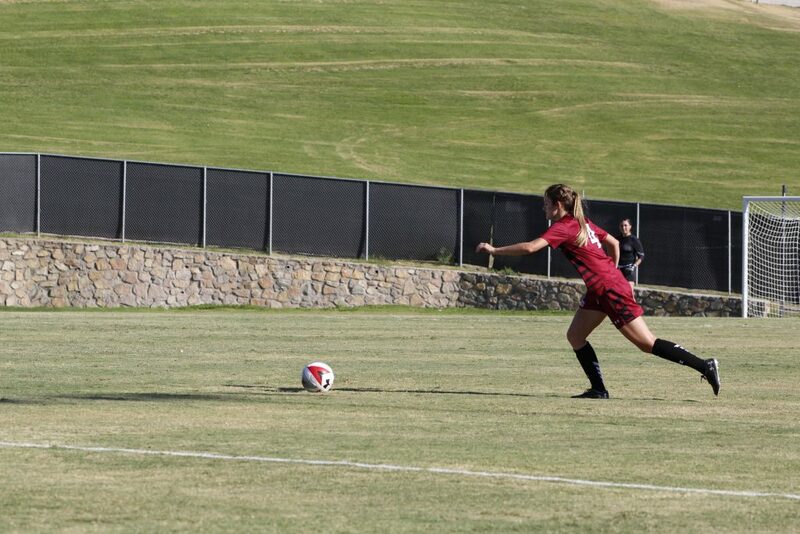 The Wolverines were able to get on the board in the 10th minute for the opening goal of the match. Utah Valley kept its pressure on the Aggies, but Martin and the rest of the Aggie defense were able to hold them for the rest of the first half. 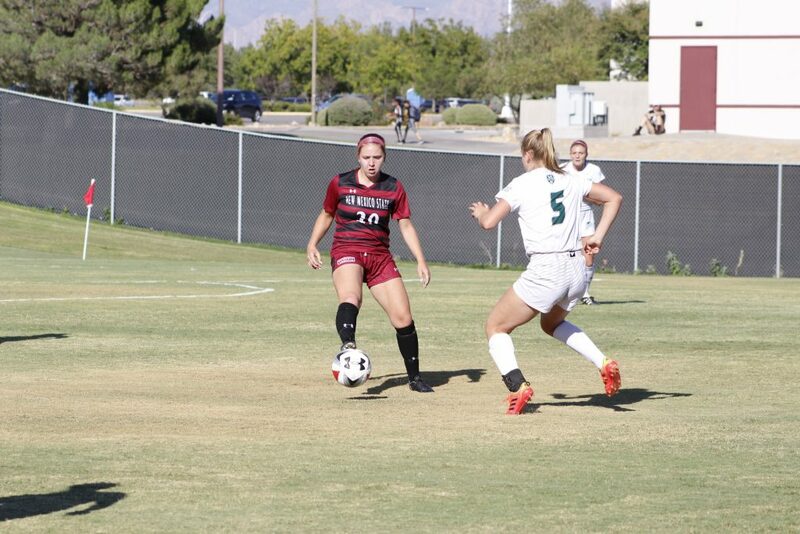 The second half was more of the same as the Wolverines maintained pressure and were able to find the back of the net with a brilliant shot from about 20 yards away to extend their lead, 2-0. 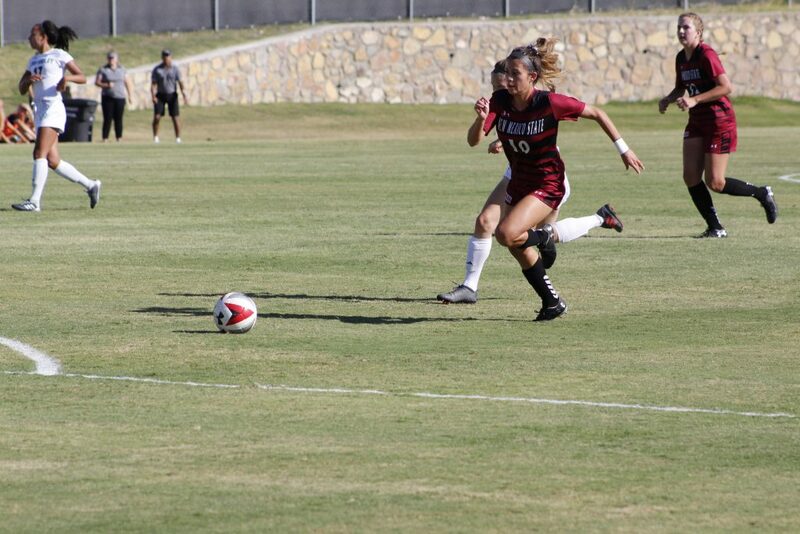 The Aggies nearly pulled one back, but the Wolverines keeper made a great save after Aggie senior Audriana Chavez headed the ball toward goal in the 53rd minute. 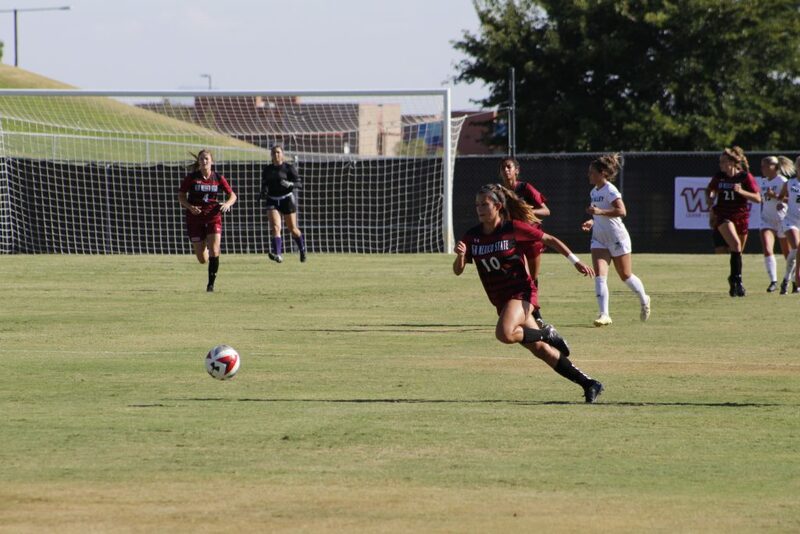 Both teams tightened up defensively until the 79th minute when the Wolverines’ offensive attack linked up for a few nice passes and were able to get past Martin for the third time and push the lead to 3-0. New Mexico State had six total shots with one on goal, while the Wolverines attempted 13 shots with seven shots on target. 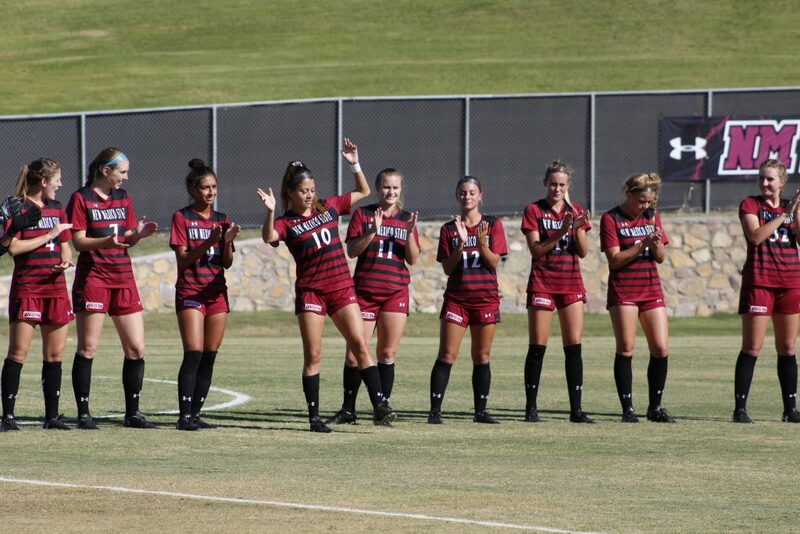 The Aggies hit the road next week as they first face WAC newcomer California Baptist on Friday, Oct. 5, and then travel to face the University of Missouri-Kansas City on Sunday, Oct. 7. Both matches can be streamed live on the WAC Digital Network.